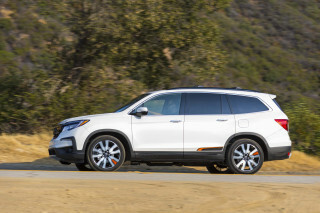 The Honda Pilot LX and EX models still offer the most bang for the buck, but this year's SE model adds a few nice features without flirting too much with premium crossover prices. The 2015 Honda Pilot is one of the most practical and family-friendly vehicles in its segment, despite its boxy, truck-like appearance. If you're looking for your best choice in a spacious family vehicle, you owe it to yourself to put the 2015 Honda Pilot on the short list. It's a family vehicle that simply gets a lot of priorities right. It protects passengers exceptionally well, and has quite the reputation for durability—and it's not all that surprising it sells as well as it does. The current proto-SUV look and the inexpensively finished dash aren't as charming as Honda probably intended, in our opinion, but it still does what many of the current Honda lineup do well: It operates efficiently, and with a minimum of fuss. The Pilot remains one of the best options on the market if you need a minivan, but can't just commit to the idea of owning one. 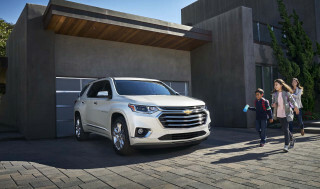 Its tall, boxy design is an advantage for cargo space and head room by comparison to more rakish crossovers–yet the Pilot drives like a car, creating a comfortable, engaging vehicle with few compromises in convenience. A five-speed automatic transmission is paired with the familiar 250-horsepower, 3.5-liter V-6 in the Pilot, and it altogether keeps with Honda's smooth, responsive, and sweet-sounding reputation for these powertrains. EPA highway ratings are now up to 25 mpg, making it one of the most fuel-efficient three-row vehicles. Once you get past the initial surprise of the tall driving position, you'll find handling to be reasonably crisp, with good maneuverability. Ride quality is on the firm side, but the optional four-wheel-drive (actually an all-wheel-drive) system has a Lock mode and is a champ in deep snow or mud. Four-wheel-drive models can tow up to 4,500 pounds. 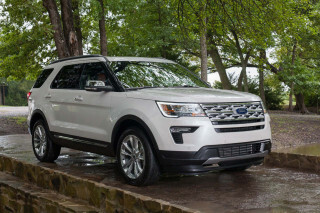 The Pilot has been rated as one of safest cars on the road for years now, and includes side-curtain airbags for all three rows, as well as the expected list of security features. A rearview camera is also standard, which is especially helpful in overcoming visibility issues in the tall, blocky crossover. The Honda Pilot goes mostly unchanged for 2015, in advance of a full redesign expected for 2016. Meanwhile, this year, a new Special Edition SE trim is now available as a mid-priced trim. 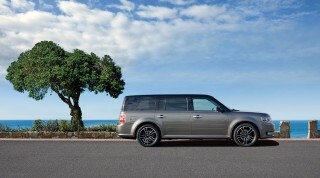 It's offered in five different trim levels: LX, EX, SE, EX-L, and Touring. All five are offered in 2WD or 4WD, but beyond that you need to ante up to one of the top two trims in order to get a lot of the more desirable options and convenience features. We think the LX and EX models offer more bang for the buck, as the more expensive EX-L, Touring and Limited trims begin to overlap with some of the true luxury crossovers on the market. They include rear air conditioning, keyless entry, cruise control, and a seven-speaker sound system. Leather upholstery, a Bluetooth hands-free interface, USB/iPod connectivity, a power tailgate, and a navigation system all remain only available on the EX-L and Touring--a serious impediment to broader sales success. The 2015 Pilot plays traditional SUV more than any other carlike crossover (which it really is); and inside, there's a little too much plasticky for some tastes. Who needs curves when you can have lines? Or, at least that must be what the Honda designers must've asked themselves when they designed the Pilot. It's boxy and brash in a way that other crossovers aren't–leaving it as a refreshing, albeit polarizing, alternative to everything else in the segment. Inside the Pilot, the look is different, for sure, but it's anything but traditional and simple. The very upright instrument panel can feel cluttered, and it feels a bit gimmicky--either overwrought or busy. That said, the interior trim and instrument-panel design do continue the chunky, somewhat macho look of the exterior, though the dash is rendered in lots of hard plastic. We don't necessarily love some of the added chrome bits on the current Pilot, as they may feel a little overwrought to shoppers looking for a more conservatively-styled vehicle. Last year, Honda tried to tone down some of that in a mid-cycle refresh--especially the oddly framed grille, subbing in a more tasteful grille that we see fitting in much better with the look that Honda's been giving its passenger cars in front. You get a strong and smooth V-6, as well as good ride and handling; you'll be happy provided expectations are in line with the family mission. Front- and all-wheel drive are both offered with the 2015 Honda Pilot's only drivetrain: a 250-horsepower, 3.5-liter V-6 with a five-speed automatic transmission. The Pilot does have quite a bit more durability built in than the typical car, though, and it is a good choice for those looking to get to a trailhead on the weekends. The four-wheel-drive system (actually all-wheel drive) does include a Lock mode for mud or deep snow. 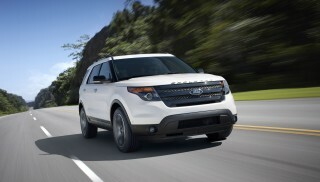 Structurally, the Pilot's structure borrows some of the benefits of a body-on-frame SUV but has a modern unibody design. And that contributes to its good ride quality and crisp response. The V-6 is one of the smoothest, sweetest-sounding, most pleasant powertrains in its segment, even if it's not the standout for power and torque that it once was. The transmission can feel a little unsure of itself under lighter loads, but it's smoother and quicker if you decide that you need to move rapidly. With a rather tall driving position, you might expect the Pilot to be a little clumsy compared to those lower, more wagon-like utility vehicles. But it's not at all; handling is quite responsive, and the straightforward exterior is easy to maneuver in parking garages or on tighter city streets. Ride quality is good in the 2015 Honda Pilot, and there's a usable third-row seat. But controls could be laid out more simply. The Pilot's interior is as large as the vehicle looks from the outside. You can seat as many as eight passengers, though the third row might be a challenge for larger (and older) adults. With an upright theme that carries through to most of the interior, the cabin is roomy and functional, and it's one of few vehicles this size to have a third row that's spacious enough for adults. About the only thing that keeps the third row from being able to accommodate all adults--getting in and out aside--is headroom, which is tighter at the far back. Sound refinement in the Pilot is really top-notch, with engine and road noise well-damped and surprisingly little wind noise. The Pilot's front seats are generously sized and supportive for long highway hauls, and the second-row seats do slide fore and aft to help get the right balance of legroom between the second and third rows; they also aid access to the rearmost row--a bit. Both the second and third rows fold forward and are split 60/40. Practicality remains one of the standpoints from which the Pilot excels; it's brimming with cubbies, holders, and bins for smaller items. The only issue we have is that the hard-plastic surfaces and trims that you'll find throughout the dash and door trim and center console, while they might be easy for families to wipe clean, also can feel a bit low-rent. Don't expect some of the latest active-safety features, although crash test scores are good. The 2015 Honda Pilot doesn't receive straight A's from the agencies that crash-test cars, but it's still one of the safer vehicles in the segment. The Pilot was given top 'good' ratings by the Insurance Institute for Highway Safety in all categories--even in the crucial (for tall utility vehicles) roof-strength category. But a 'poor' small overlap frontal score figures in as a safety performance that's definitely not class-leading. In the federal NCAP crash-test program, the Pilot earns a four-star score (out of five) overall, with four stars for frontal impact and five stars for the side pole test. Despite its boxy body, tall seating, and rather low beltline, the Honda Pilot doesn't offer great outward visibility--mainly because of the thick rear pillars, which may make it hard for some shorter drivers to see when changing lanes or backing up. A rearview camera is standard on all trims in 2015. Front side airbags, side-curtain bags that cover all three rows, and active head restraints all remain included, plus electronic stability control and anti-lock brakes. Only the most expensive Pilots can have the infotainment features you probably want. There are four other trims–LX, EX, EX-L and Touring–available on the 2015 Honda Pilot. You can have front- or four-wheel drive on each trim, but all of the most desirable features and options are reserved for the top two trims. If you can do without some of the extras, the base Honda Pilot LX models are well-enough equipped to make comfortable family vehicles for most; they include rear air conditioning, keyless entry, cruise control, and a seven-speaker sound system. 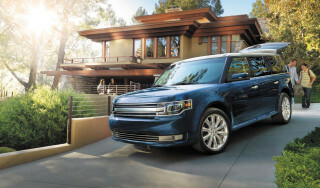 At the top of the lineup, the Pilot Touring includes a host of tech features, such as a nav system, a rearview camera, a Bluetooth hands-free interface, a USB audio plug, backup sensors, and available rear DVD entertainment. There's 15 GB of media storage included with the navigation system. The EX-L and Touring models have offer leather, USB/iPod connectivity, Bluetooth, navigation and a power lift gate that you can't have on the LX and EX models. And, you have to opt for the navigation system if you want the option to plug in your USB stick, too. That's going to leave you with limited choices on the lot, all of which will be some of the most expensive Pilot models available. The interface for the Pilot is a mixed bag, for visual appeal and functionality. The i-MID, which includes a color LCD screen at the top of the instrument panel, shows trip computer and audio functions. A set of enhanced steering-wheel controls were also included, while a rear-view camera system is also included, as of last year. New for 2015, a Special Edition 'SE' trim is available as the mid-pack option for the Honda Pilot. 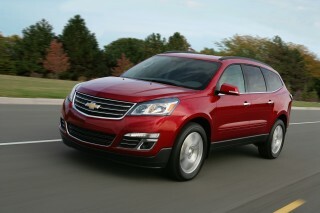 The SE model includes special pewter wheels, a sunroof, Sirius XM radio, and the rear-seat entertainment system. All 2015 Honda models also include 24-hour road side assistance this year, too. If you require third-row seating and a V-6, the 2015 Honda Pilot is one of the most efficient crossovers. We have found that the Pilot is quite fuel-efficient in real-world driving, and a cylinder-deactivation system helps the V-6 cut fuel consumption while coasting or cruising. We've managed to easily meet the expected ratings in previous drives, which certainly isn't the case across many models. 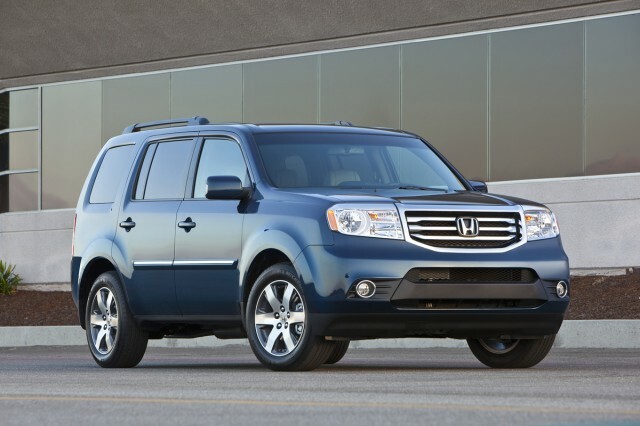 The 2015 Honda Pilot could be considered relatively green, depending on how you use it. 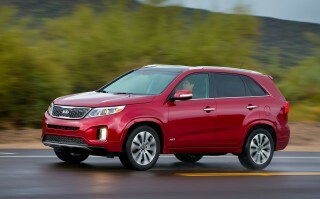 With a EPA highway rating of 25 mpg, it's one the most fuel-efficient vehicles with three rows on the market. However, if you only need room for five, there are several vehicles on the road with better fuel economy numbers. 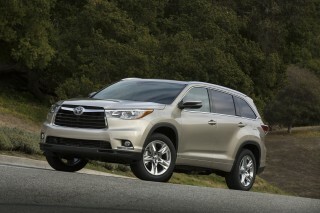 The Toyota Highlander Hybrid offers a third row, for example.